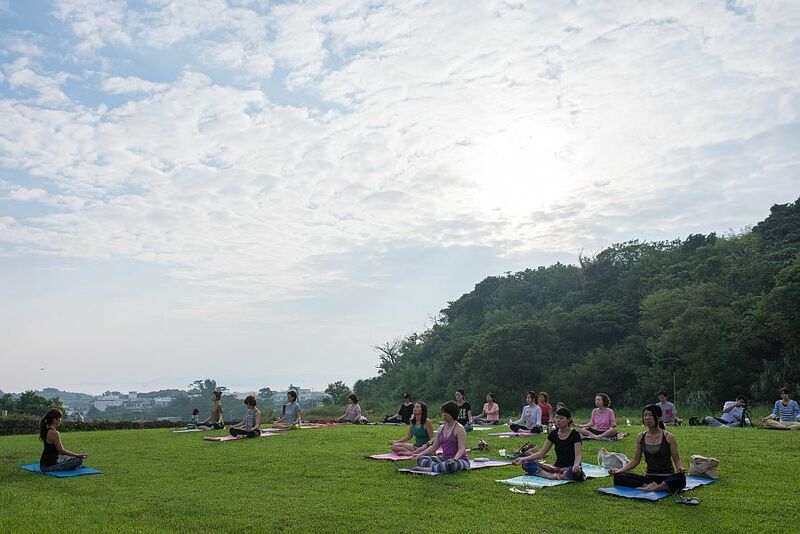 How about do a yoga experience in a gentle sunshine and clear air? One early morning, morning sun peered into the face between the clouds as the rain and clouds until the day before was a lie. and an orange roadway appears so as to intersect the underwater road. 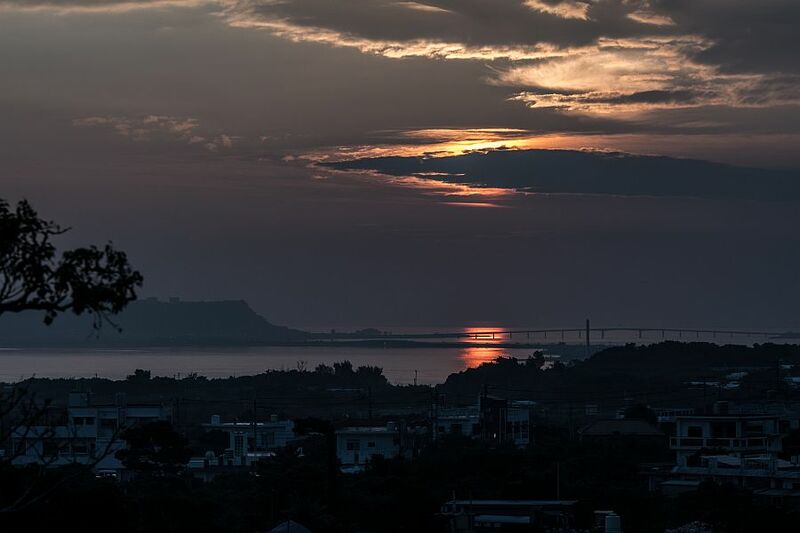 Light grows little by little … covers the whole Uruma city gently and carries the morning. 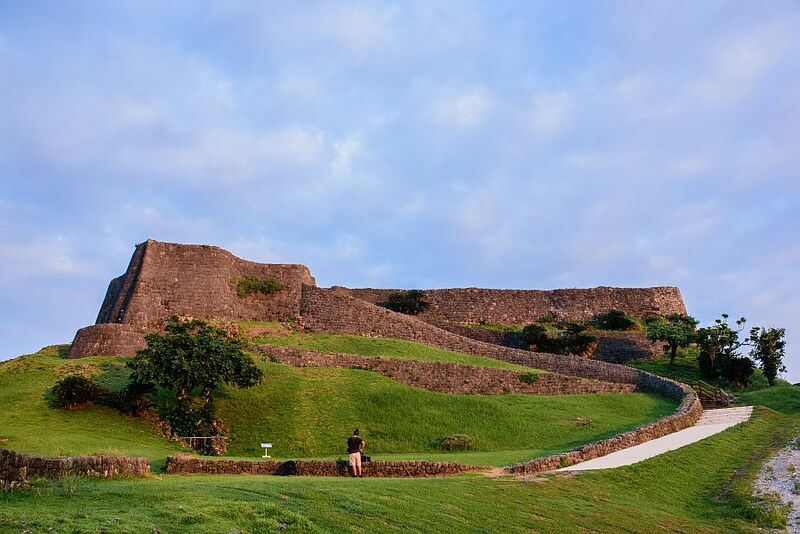 And light is also here in the World Heritage · Katsuren Castle Ruins. which was named after former castle owner Amawari. The castle walls clad in orange light make their outlines clearer and make an impression different from usual. 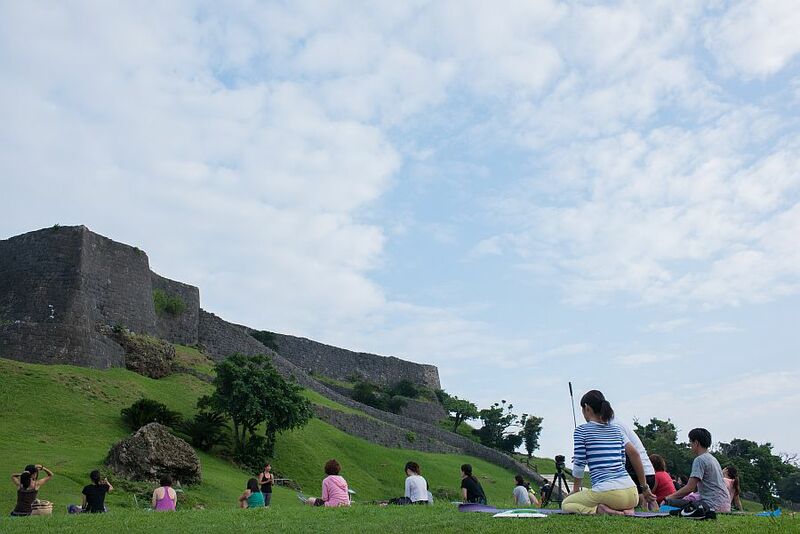 “Gusuku(castle) yoga” is done in this mysterious place. 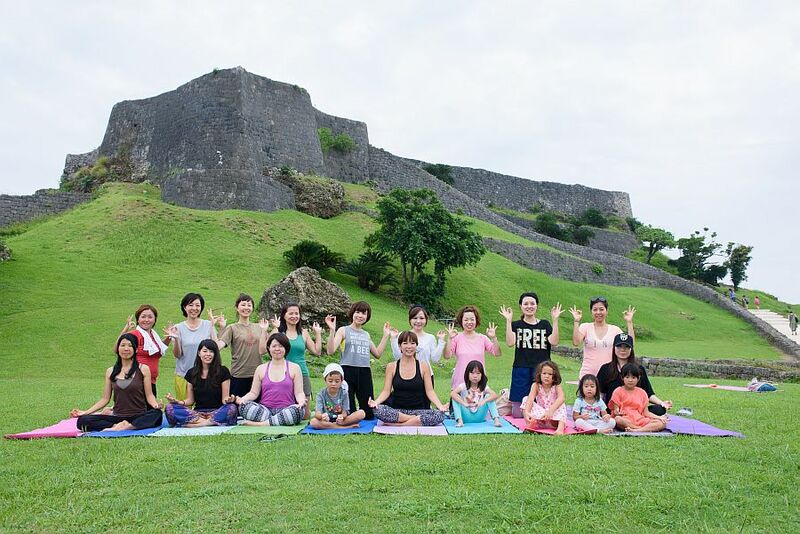 MASAKI (left side), a yoga instructor, welcomed participants. 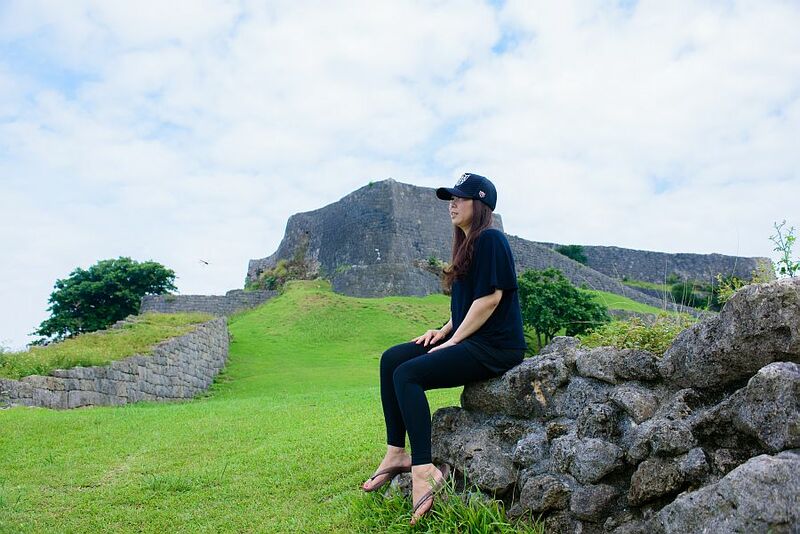 Katsuren castle ruins in front, Nakagusuku bay from the hill, clear sky. 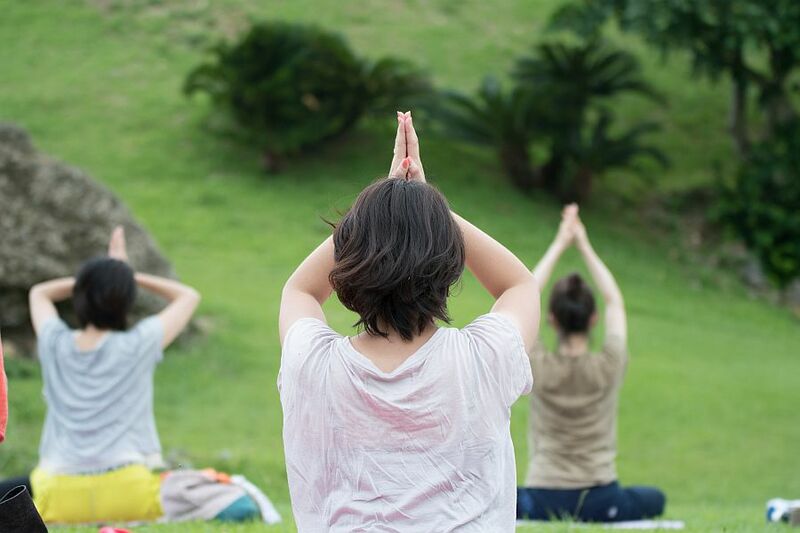 While taking such energy of nature and history in the body, yoga began. Slowly breath and listen to the flow of time and the sound of nature. MASAKI’s gentle tone will lead you to various poses. 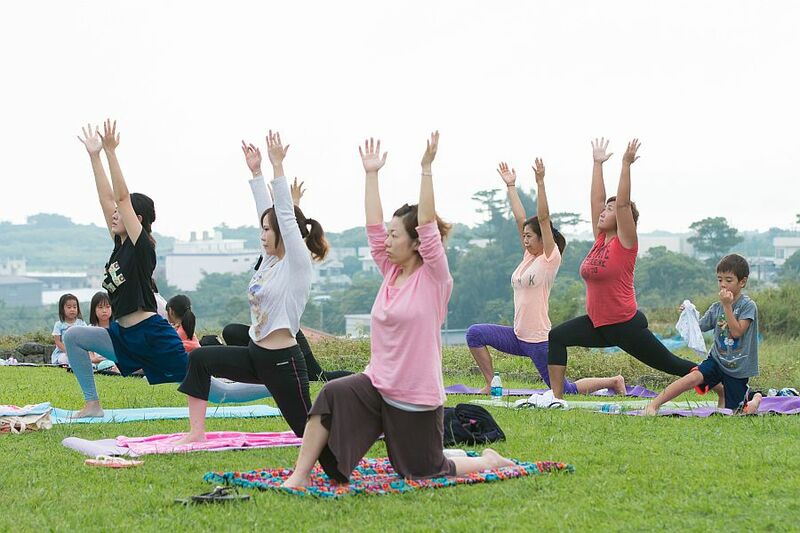 Foreign participants also can move the body smoothly with fluent English. With the air full of refreshing sensation and the fragrance of lawn spreading all around, feeling calm gradually. 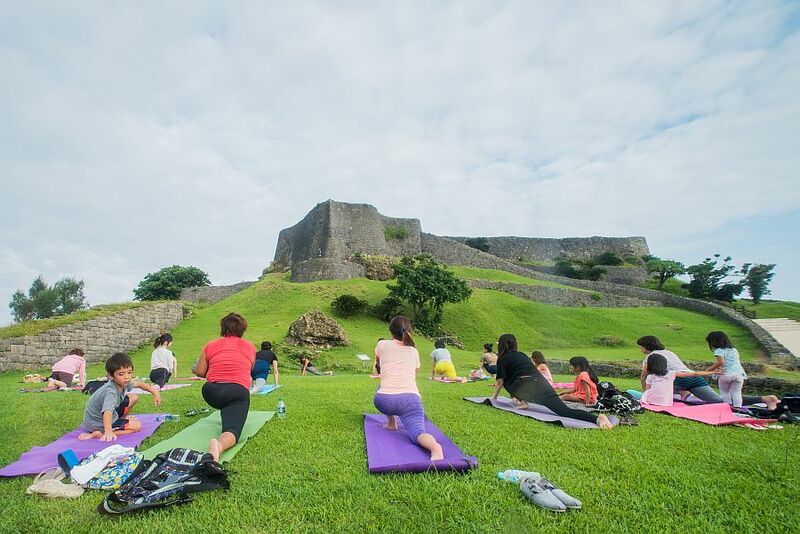 Open your mind and body, and receives power from the sun / earth / Katsuren castle ruins. Gradually, to a pose that requires a load or a sense of balance. Sweat can be applied by the heat from the inside. Let’s squeeze out the daily stress along with sweat. Standing pose with sitting up. 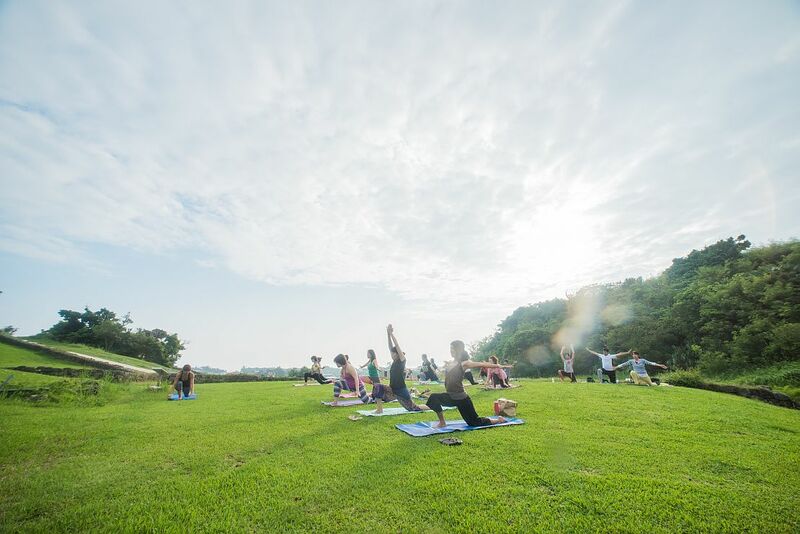 By putting your hands up to the sky, you feel that the body is fully stretching. Everyone looks serious but pleasant at same time! And, here is a fun laughter. Children are walking around the mothers cheerfully as am playing with grass and dragonfly. 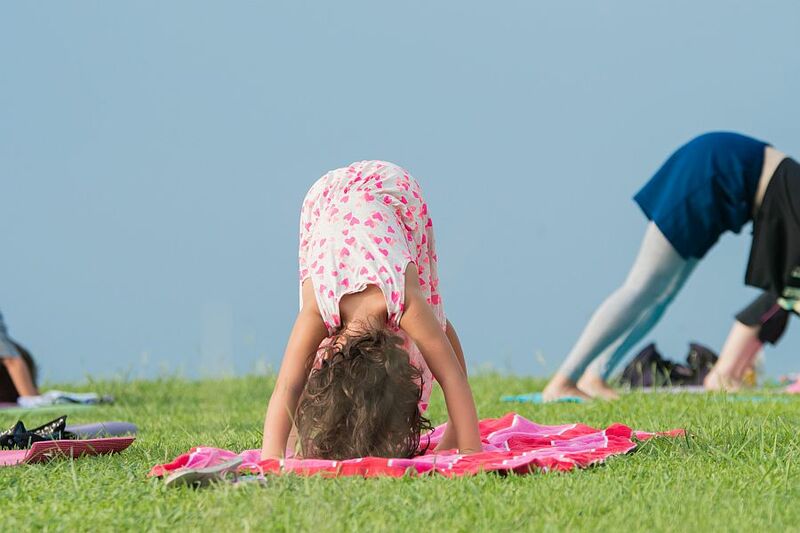 It is unique to castle yoga that the vibrant voice of children echoes. Well, last pose is a pair of feet, close your eyes and take a deep breath. 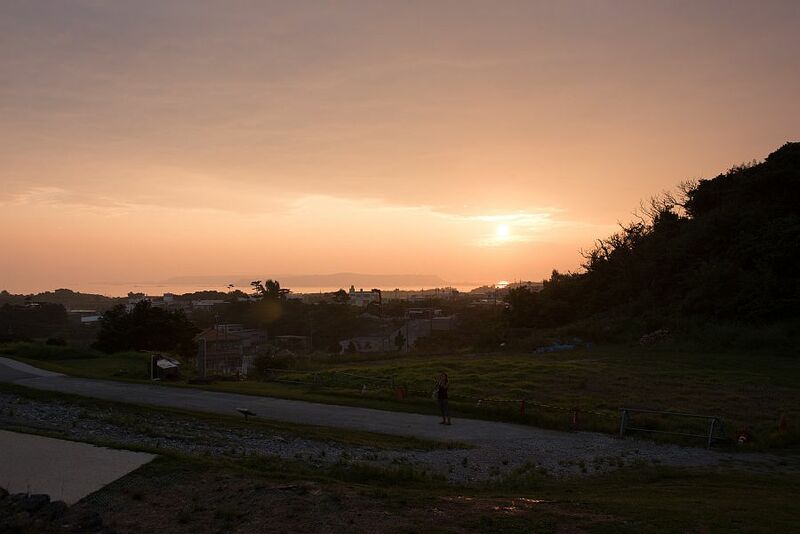 Breathing and silence … And enjoy the sounds of nature. Castle Yoga ended with a fresh sweat. 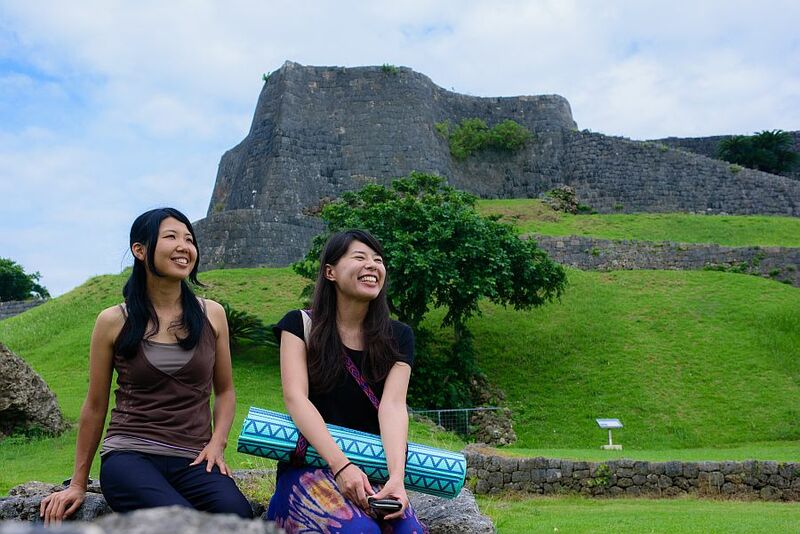 Ms. Shimizu (left side) and Ms. Emoto (right side) who participated this time have experienced yoga before. “Could felt the voice of insects and the smell of grass, so nice to become one with nature” showed fresh look. Ms.Toguchi who participated from Naha city. 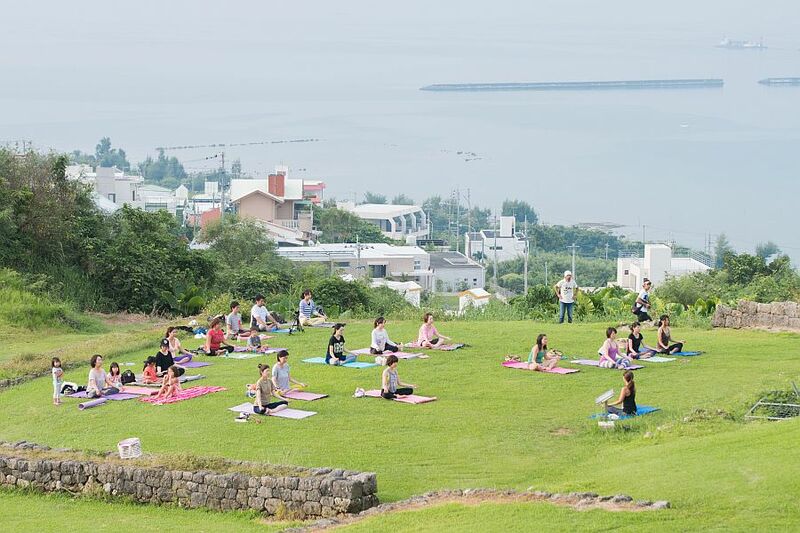 It seems to be a fan of outdoor yoga. It seems that getting up early did not bother him because of beautiful morning sun. “Men’s participants Mr. Matsumura (left side) and Mr. Murayama (right side). 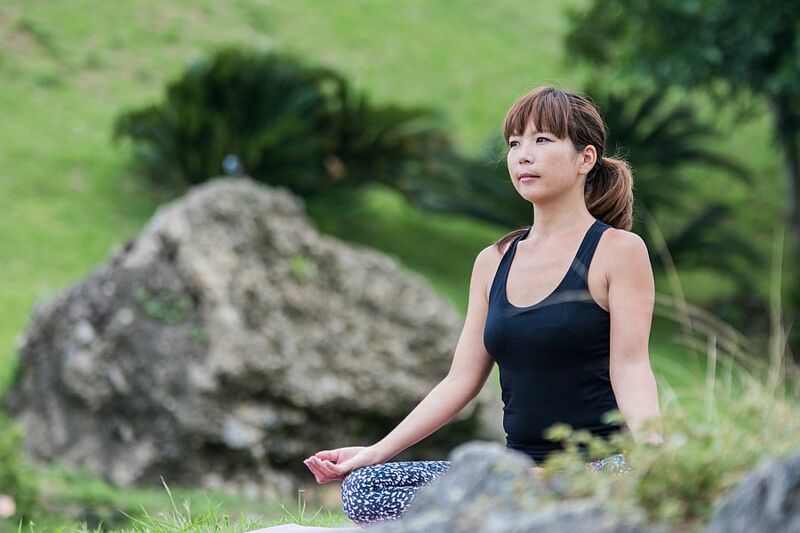 Ms.Masaki’s yoga that they experienced for the first time was satisfied with “new”. We are encouraging everyone to feel free to participate and be a place for information exchange. 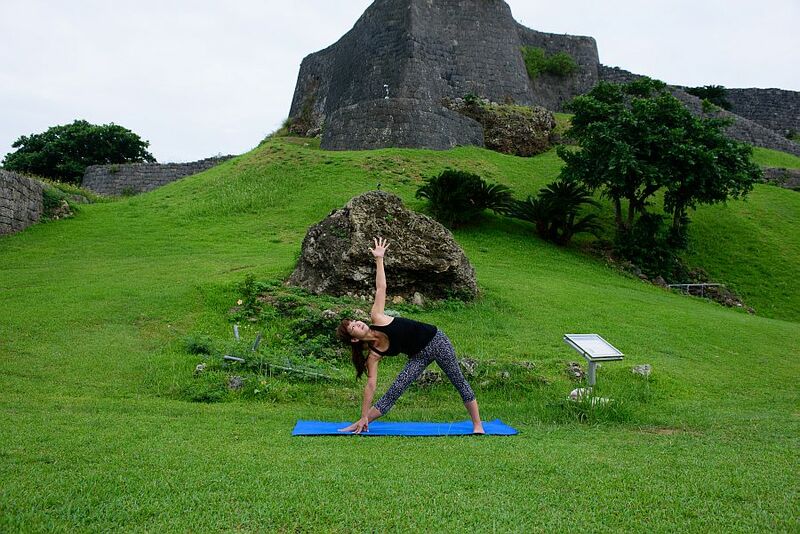 Castle yoga where has yoga’s relaxing time overlaps. Why do not you refresh your mind and body in a special time that flows only to this place?